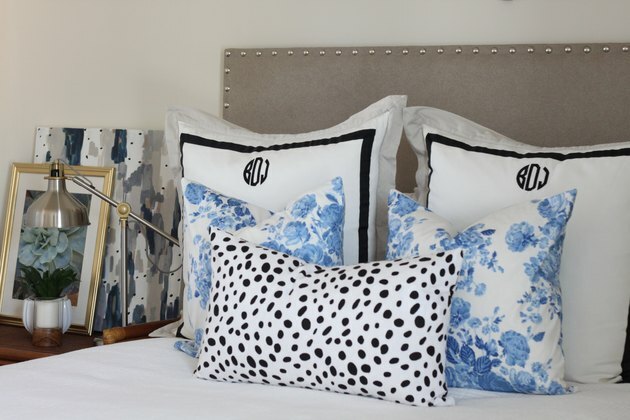 Creating a custom padded headboard is a great way to add personality and character to a room. It's a relatively simple process and can be easily customized to your needs. Lay out your foam and mark where you want to cut it. 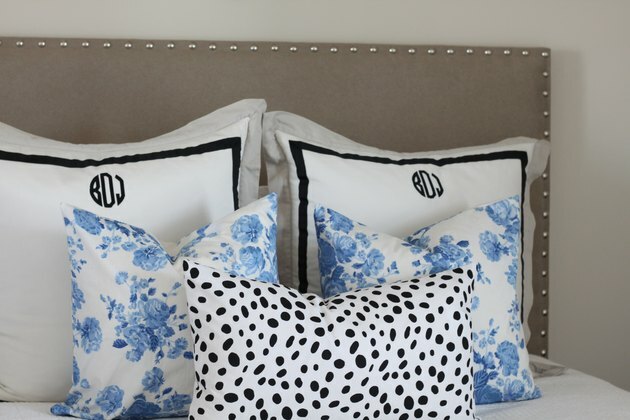 You will want to cut the foam slightly smaller than the plywood to allow room for your nailhead trim -- a one inch border on the sides and top is all you'll need. The foam for this headboard was cut down to 39 inches by 63 inches. 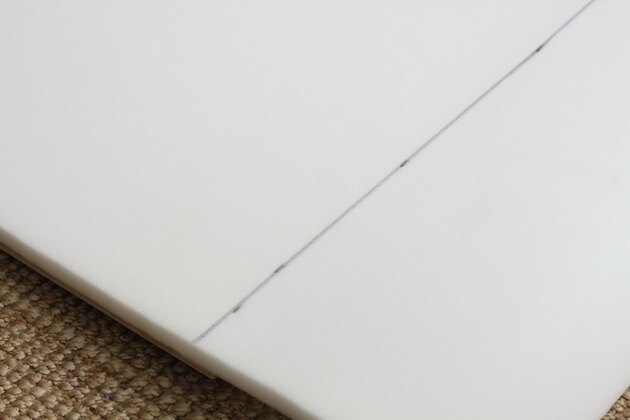 When marking your foam, it helps to use a straight edge, like a yardstick, to ensure your line is even. Regular scissors will work for cutting half inch foam. However, if you are cutting thicker foam, an electric knife will make the process much easier. Adhere your foam to the plywood, making sure it is centered on the sides and flush against the bottom edge. A little hot glue in the corners should hold it in place. You can also use spray adhesive to adhere it, either will work well. 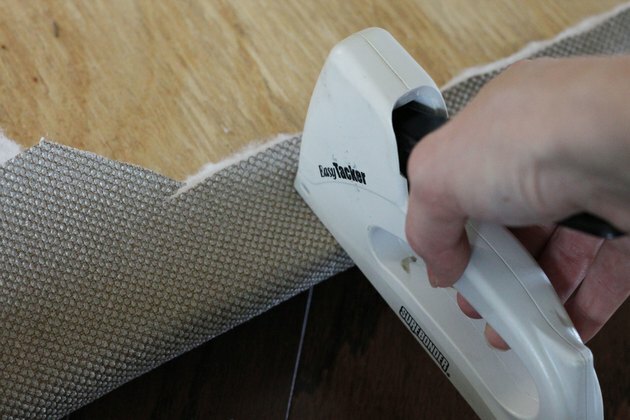 Lay your fabric out on a large, flat surface with the wrong side up. Then, lay your batting on top of the fabric. 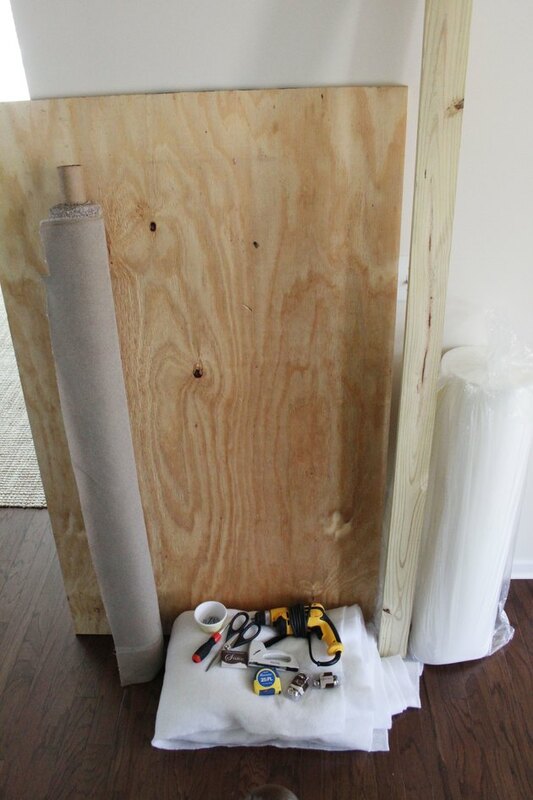 Finally, lay your plywood piece, foam side down, on top of the other two layers. 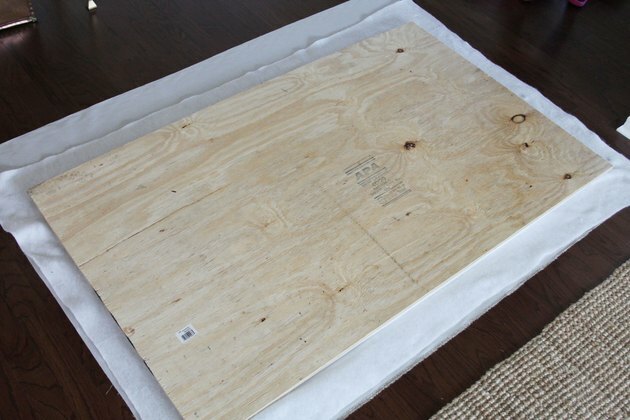 Staple your batting and fabric to the back of the plywood. You can staple both layers together or separately, pulling them taut as you go. 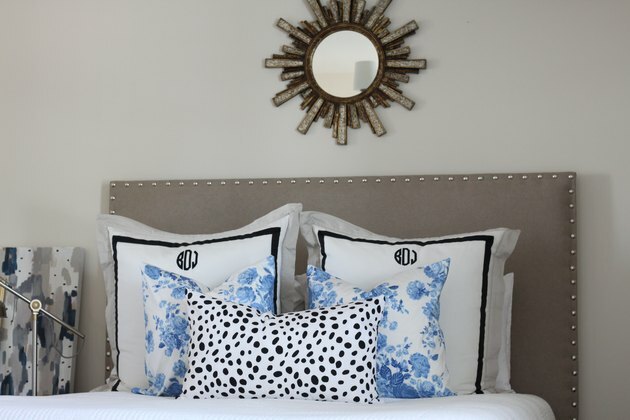 To create the headboard's supporting legs, attach the two 1-inch-by-8-inch-by-20-inch wood boards to the two longer 1-inch-by-8-inch-by-58-inch boards using wood screws. You'll need two screws at the top of the 20-inch piece and two at the bottom. Make sure the boards are flush on the sides and bottom. 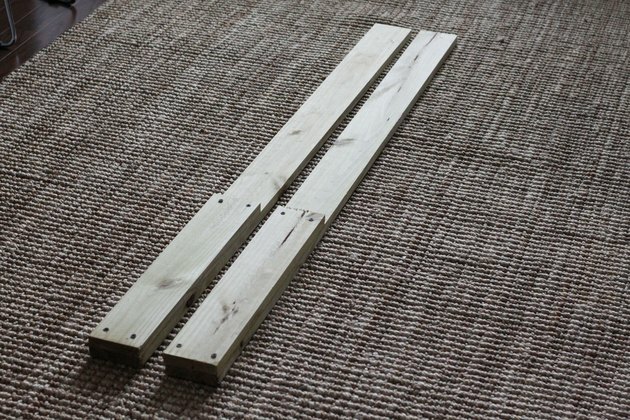 Attach the wood boards to the back of your headboard with the shorter side facing forward. Make sure the shorter board is pushed flush against the front of the headboard. Two screws at the base, two at the top, and one in the middle should secure it in place. 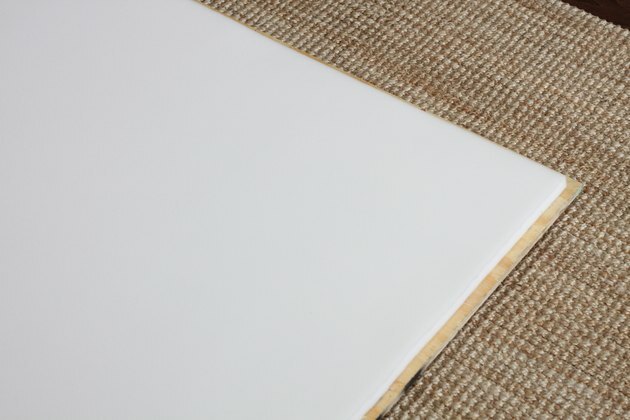 To create a finished look, cover the bottom portion of the 1-inch-by-4-inch board with fabric. Wrap the fabric around the board and staple it on the back side. Folding the top edge before stapling will give you finished edge where the headboard meets the wood board. 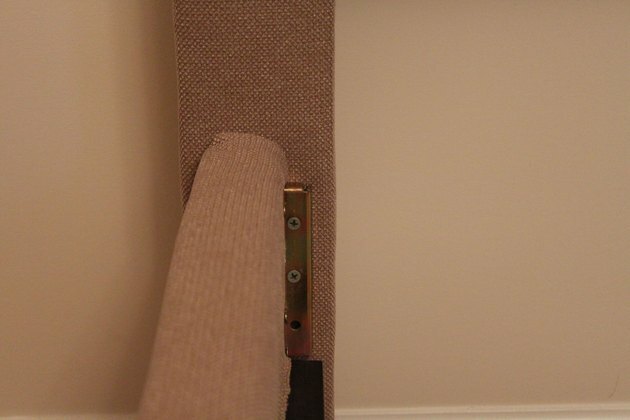 Measure and mark where you want to attach your nailhead trim. This nailhead trim was spaced two inches apart. 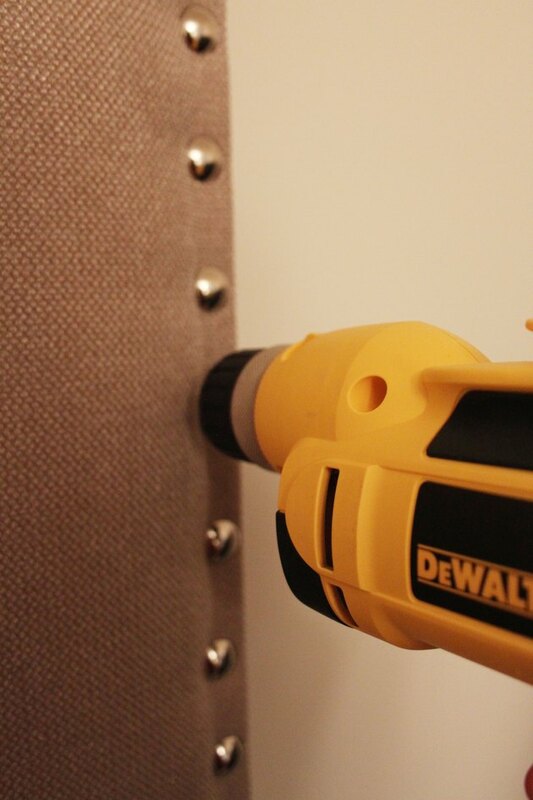 Pre-drilling a small hole with a 1/16-inch drill bit will ensure the nailhead trim goes in straight. 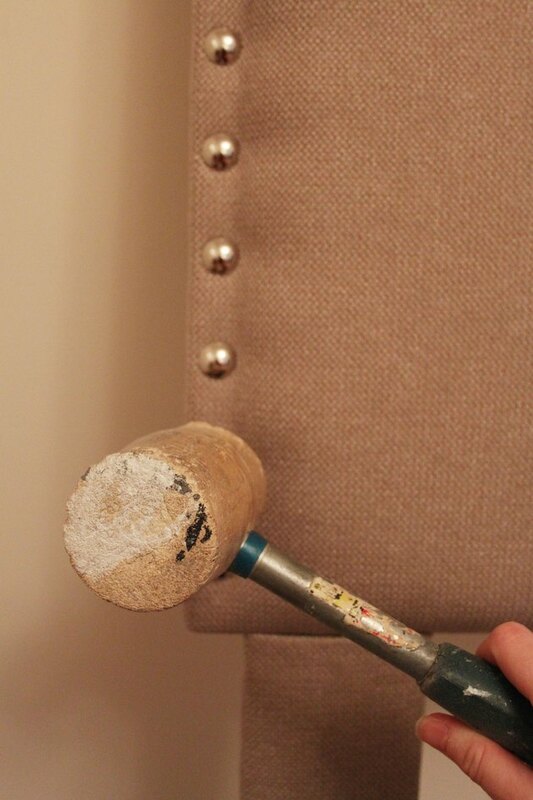 After you've pre-drilled your holes, gently tap your nailhead trim into place with a rubber mallet. 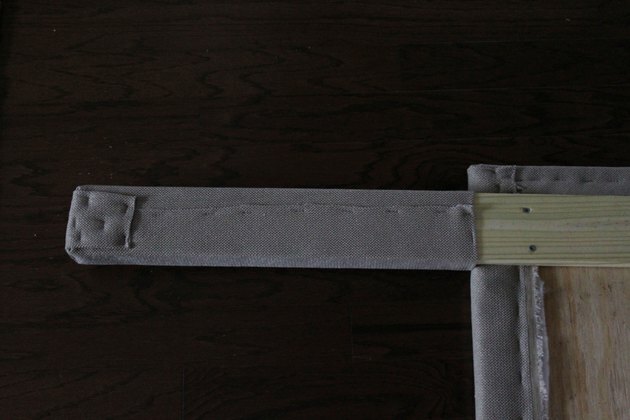 Attach your headboard to the frame using wood screws and either a drill or Phillips head screw driver. If you have trouble getting the screws to go in, pre-drill your holes and try again. 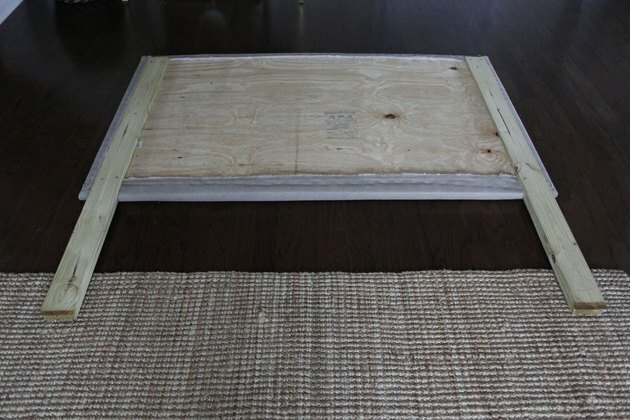 Once your headboard is attached to the frame your project is complete. Sit back, relax, and enjoy the finished product! 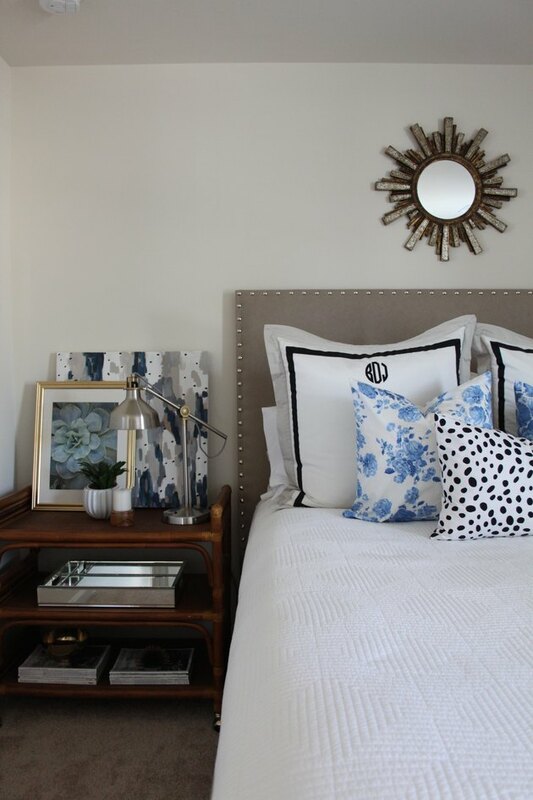 A graduate of Liberty University with a concentration in Interior Design, Bethany DeVore loves furniture rehab, DIYs, and making over her home one project at a time. When she's not spending time with her toddler and supportive hubby, you'll find her covered in paint or searching local thrift shops for her next project.